I was assumed to be a spy when I was in seventh grade. And the oldest son of an American diplomat. 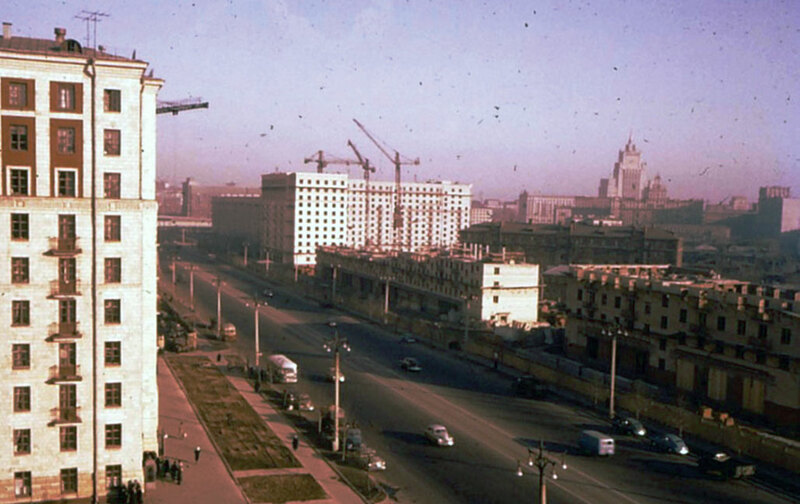 Accordingly, I was believed to be a threat to the Soviet Socialist Republic. And to dispatch their spies to watch what I was up to. To go get a haircut on my own. And I could walk there in just a few minutes. So that two of their KGB agents could follow me. Just in case I had any funny ideas. I did have funny ideas. “Spy vs. Spy” was one of my favorite cartoons. And the great spy story, Kim by Rudyard Kipling. My very own information counter-offensive. Of a 12-year-old American Spy. Jim Owen is the eldest son of the late FSO Robert I. Owen and Mary Owen. His father joined the Foreign Service at the end of World War II and served in the Dominican Republic, Finland, the Soviet Union, Germany and the former Yugoslavia, retiring in 1971. Born in Ciudad Trujillo (now Santo Domingo), Jim lived in Moscow twice during the 1950s, the second time as a middle-schooler in 1958-1959. Jim and his wife, Jan, settled in Maine in the early 1970s. To his delight, their twin daughters went just to Bangor schools until they left for college. Jim is now retired, and enjoys writing poetry. Photos courtesy of Jim Owen. 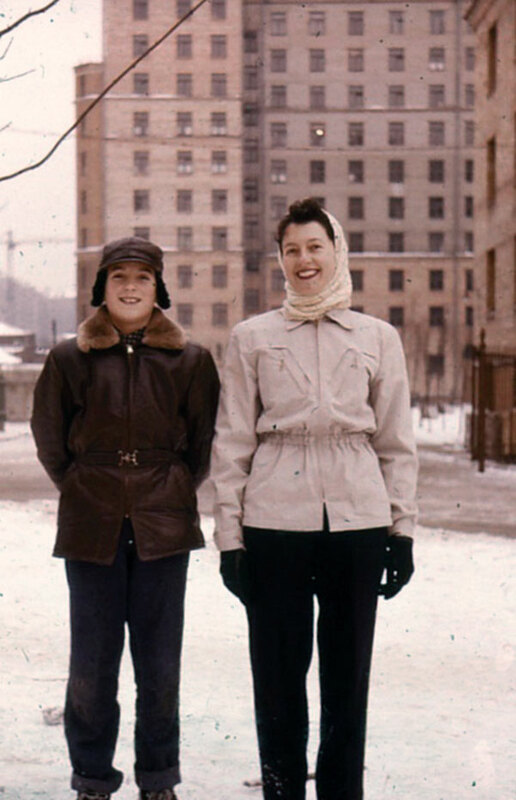 Jim Owen and his mother in front of their first apartment building. They were forced to move when the building was condemned. 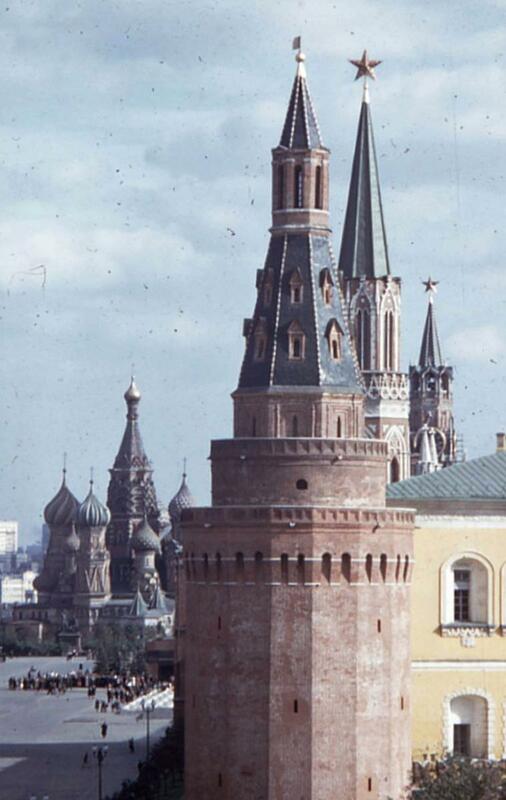 The Kremlin Tower and St. Basil’s Cathedral. The view from their new apartment.